If you’re looking to shed some unwanted pounds, one of the best first steps is to make healthy dietary changes. Whether you’re swapping your afternoon chips for veggies and hummus or holding the sugar in your morning cup of coffee, small, sustainable changes are key to weight loss. But certain healthy foods have gotten a bad rap when it comes to weight loss. Whether it’s their higher fat content or a fear of carbs, one thing is for sure: There are healthy foods people mistakenly steer clear of when trying to lose weight. When weight loss is the goal, it’s important to realize that you can have a balanced diet with a wide variety of foods as long as you aren’t taking in more calories than you’re putting out. Omitting a particular food item because it may be high in fat or carbs may cause you to miss out on vital nutrients for your weight-loss journey. With proper portion control you can enjoy these foods and lose weight at the same time. Here are seven of the most commonly maligned foods you can add back into your weight-loss diet. People may be hesitant to include avocados in a weight-loss plan because of their high-fat, high-calorie content. But Monica Salafia, registered dietician and certified personal trainer, says that although this food is indeed high in fat and calories, portion size is key in reaping the benefits without going overboard. 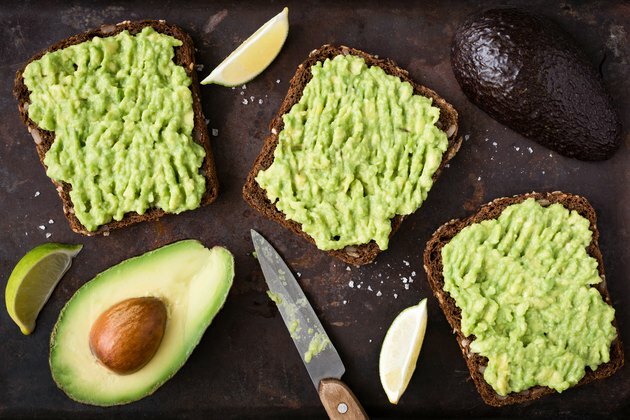 Just a third of a medium avocado contains 250 milligrams of potassium and eight grams of heart-healthy monounsaturated fatty acids (MUFAs). Not only are these good fats great for your skin, they may also be able to aid in the lowering of blood pressure and promote better heart health while assisting in healthy weight loss! This food tends to top the “forbidden list” as soon as weight-loss goals are in place. This is mostly due to the fear of carbs and added unrecognizable ingredients that can come in commercial loaves, says Salafia. Although bread does contain carbohydrates, Salafia says you shouldn’t fear them, as they’re necessary for the healthy functioning of brain cells and provide energy to power through workouts. Plus, bread contains healthy insoluble fibers (about three grams per slice, depending on the type), which is great for digestive system health. Salafia recommends reading the labels when choosing bread and looking for ingredients that you can pronounce (in other words, made with whole foods and not containing a ton of unhealthy chemical additives). Another nutrient-packed food that tends to take a backseat because of its high sugar content is the banana. But not all sugars are created equal. The natural sugars found in this fruit aren’t processed or refined. This makes the availability of the natural sugar content healthy and ready to be used for energy. Pair these natural sugars with the banana’s vitamins, minerals and electrolytes and this fruit makes for an awesome pre- or post-workout snack. Carbohydrates spare protein, Salafia says, so if building lean muscle is the goal, then it’s important to get enough of carbohydrates. Full-fat anything might make a dieter go running for the hills — after all, carbs aren’t the only one with a bad rap when it comes to weight-loss. But Salafia says that full-fat options provide plenty of health benefits, while low-fat and fat-free options often pile on added sugars. 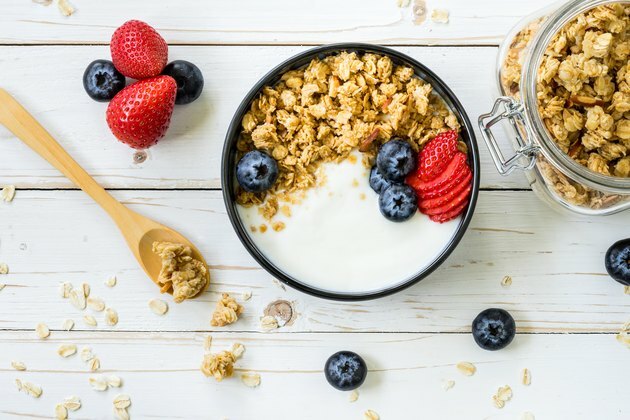 Consuming a full-fat dairy serving can help you feel fuller longer, which can keep your total daily caloric intake within range for weight loss. It’s also packed with calcium for strong bones, probiotics for a healthy immune system and protein for building muscle. When not loaded down with sour cream and bacon bits, this nutrient-packed starch offers serious health benefits. Avoided mainly because of its starchy carbs, which are thought to lead to weight gain, Salafia says that when consumed in proper portion sizes, potatoes make a great side dish on a clean-eating plan. One medium potato provides 45 percent of your daily vitamin C requirement, has more potassium than a banana (620 milligrams) and is loaded with iron and vitamin B-6. But what about the insulin spike? When paired with other foods, such as protein and healthy fats, insulin is much more apt to level out nicely while allowing the carbs to provide steady energy. Additionally, because starches contain prebiotics, they help boost your gut health, metabolism </ahref="https:>and immune system. The white of the egg, though healthy, is often the only part of the egg some dieters consume. But even though it does contain fat and cholesterol, Salafia says there’s nothing to be afraid of in the egg yolk. Cholesterol in healthy doses (less 300 milligrams per day, </ahref="https:>according to the Dietary Guidelines for Americans) is healthy for the body, as it aides in the building of healthy cells. As far as the fat content, three out of the five grams of fat per egg accounts for healthy fats like monounsaturated and polyunsaturated, which are known to benefit the heart and promote brain health. 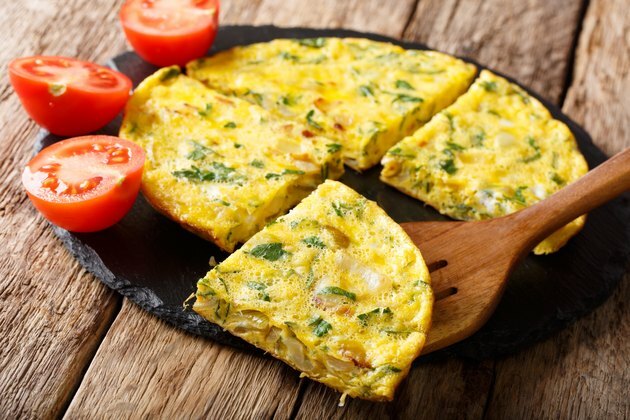 Plus, eggs are packed with nutrients like selenium, vitamins B-2, B-5 and B-12 and vitamin A.
Oils are often excluded from weight-loss diets in favor of low-fat or nonfat cooking sprays. Once again, due to the fear of fat, many lose out on various cooking oils’ great health benefits. Take as examples extra-virgin olive oil, which is rich in antioxidants, or coconut oil, which contains lauric acid that can kill harmful pathogens like bacteria, fungi and viruses. And most plant oils are rich in omega-3 fats, which promote cell growth and help keep the lining of our arteries clear for better blood flow. Your best bets for cooking oils when trying to lose weight include coconut oil, grapeseed oil and olive oil.